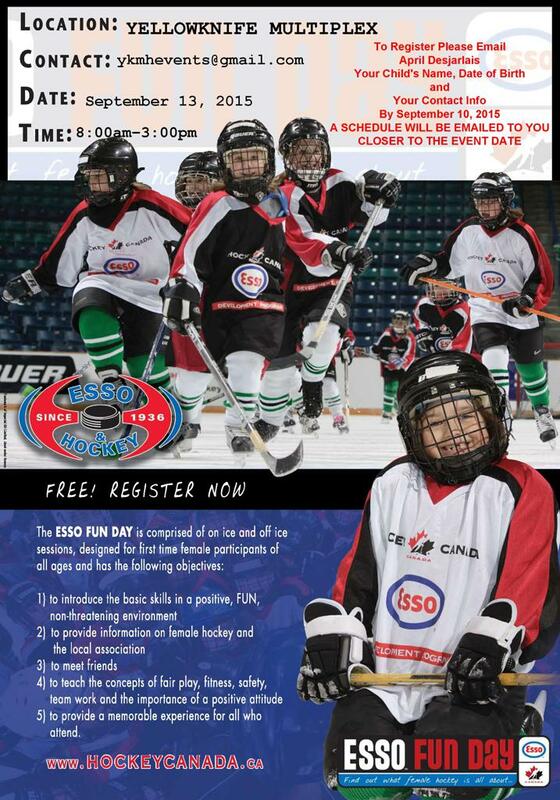 Since 1998 the Esso Fun Day Program has introduced thousands of females to the great game of hockey. This Program is meant to be a fun day of hockey for the first time participant in the female game. If you are a female between the ages of four to eighty-one and want to give hockey a try! Esso Fun Day is for you and it's free. The focus of the day is to introduce players to the basics, to make new friends, and to try the game without having to make a commitment to sign up for a season. On-ice activities are provided by individuals with Coach Level certification assisted by other on-ice role models. Individuals interested in pursuing hockey even further are given an opportunity to sign up at the program. Registration is open until September 10, 2015. To register please email ykmhevents@gmail.com with your Child's Name, Date of Birth and Parent Contact Information (email address & phone number).